Signs similar to these were implemented at ELA. Photo: Justin Scott Johnson/Berkeley Beacon. These stickers were placed this month on the doors of all men’s and women’s rooms with multiple stalls, ELA Vice President and Executive Director Allison Sampson said. Vice President of the Social Justice Center Sylvia Spears said Sampson saw something missing on the LA campus after visiting Boston last year. The campus has two single-stall restrooms and multi-stalls with men’s and women’s signs next to the door, Sampson said. 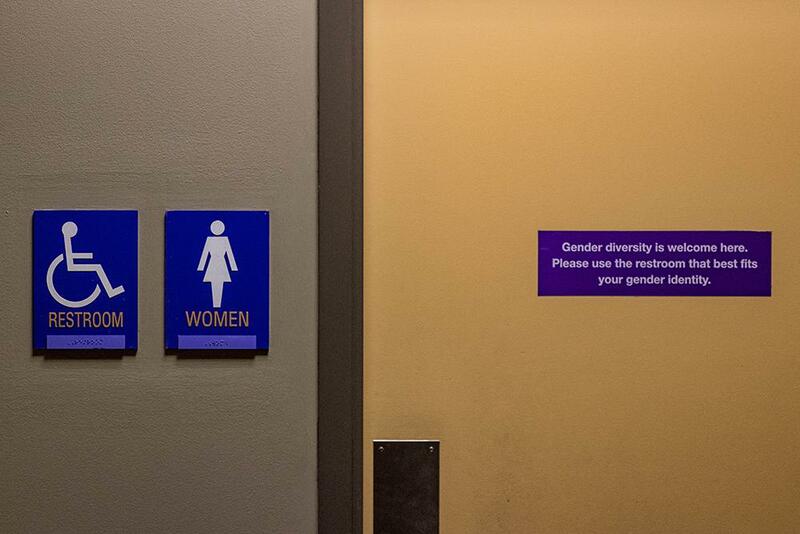 Unlike the Boston campus, the west coast campus does not have inclusive symbols for men, women, and non-binary people installed permanently next to the door of multi-stall restrooms. Instead, Sampson said the multi-stall restrooms either have a men’s or women’s sign next to the door, but she said the new stickers override the signs. “There are better things to spend money on for the school than drilling out the [men’s and women’s] signs,” she said. Lauren Lopez, vice president of Emerson’s Alliance for Gays, Lesbians, and Everyone, said there is a difference between the inclusive signs and a sticker that is temporary and can be peeled off. Before the new stickers, ELA had laminated signs with the gender-inclusive symbol, but the signs would easily fall off, Sampson said. The design for the stickers was created during an initiative two years ago on the Boston campus by EAGLE and the Social Justice Center, formerly the Office of Diversity and Inclusion. The organization intended to encourage individuals to use the restroom that best fits their identity, according to a community-wide email Spears sent out to announce the installation in 2016. 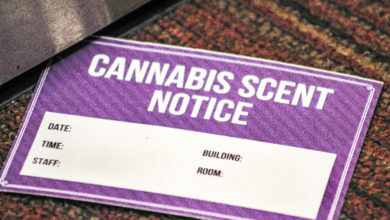 ELA Associate Director of Student Life and Housing Turi Daoust said before the new stickers, the two single-user stalls, which students used as gender neutral, were hard to find because of the confusing architecture of the building. Senior Samson Amore said he struggled to find these restrooms. Amore said he could pass through any restroom without being questioned. He identifies as a transgender man. He said there is always going to be someone who doesn’t have that luxury or someone who doesn’t feel comfortable using a certain restroom at all. Daoust or one of her coworkers had to walk ELA students to neutral single-user stalls due to difficulty explaining the location. She said she is happy about the new signage. “I think that for students who are gender-nonconforming, who identify as transgender, or just believe in the idea of gender inclusive restrooms, [the stickers] present a safe space for students to go about their daily lives,” EAGLE representative Dylan Walton said. ELA has not posted information about gender-neutral facilities online. 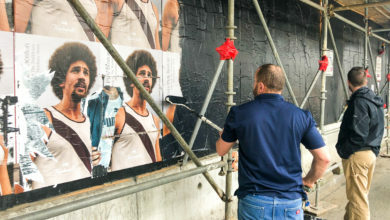 Walton, who contributed to making the stickers in 2016, said even though the administration is demonstrating support for gender-inclusivity, it is still not enough. “I think the lowest level and bare minimum [of support from administration] is the gender-inclusive sticker,” he said. Gender is like the Twin Towers. There used to be 2 but now its a touchy subject. Damn, comment moderation? On journalism articles? Ironic isn’t it moderator? Hi, we actually approve all of our comments but have to filter out spam.